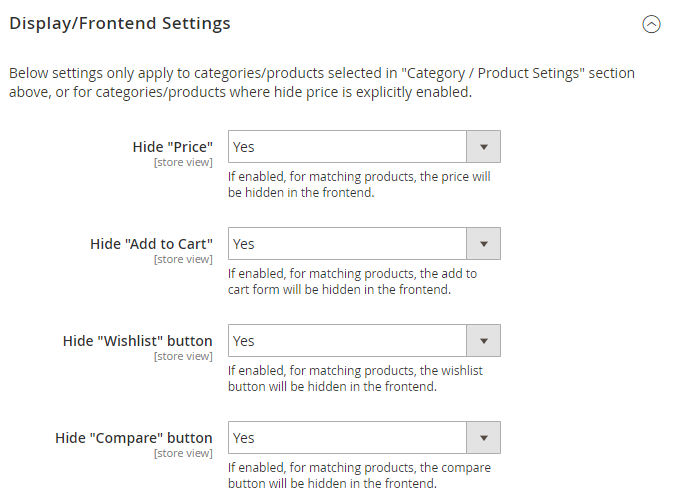 Hide product prices, disable add to cart functionality for specific categories/products, or even completely disable customer/shopping cart features in your Magento 2 store. Make your customers call for pricing information. 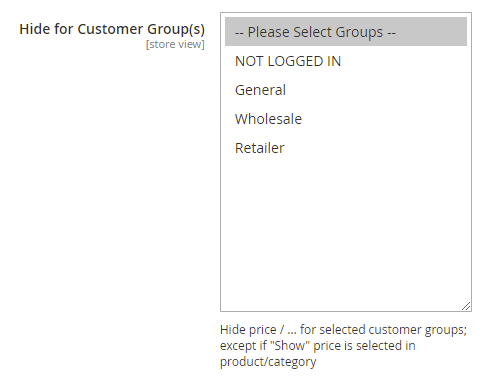 Configurable on a per customer group and store-view level. Flexible, configurable from the backend and with support for custom themes. This extension allows you to take full control over price display settings and add to cart functionality. With all details being configurable and fine-grained settings, enforcing pricing policies has never been easier. You can disable add to cart functionality and/or hide prices for certain categories, products or customer groups on a per-store view level. Set up category X to hide product prices, or configure category Y to disable "Add to Cart" functionality for all products in that category. Flexible, powerful and easy to use. Category View: Hide price and disable add to cart enabled; add to cart button is replaced with a customizable button. 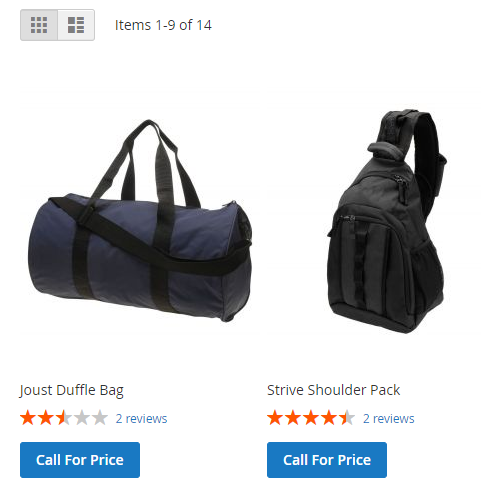 Product View: Add to cart is disabled, price is disabled with a customizable button. All configurable. 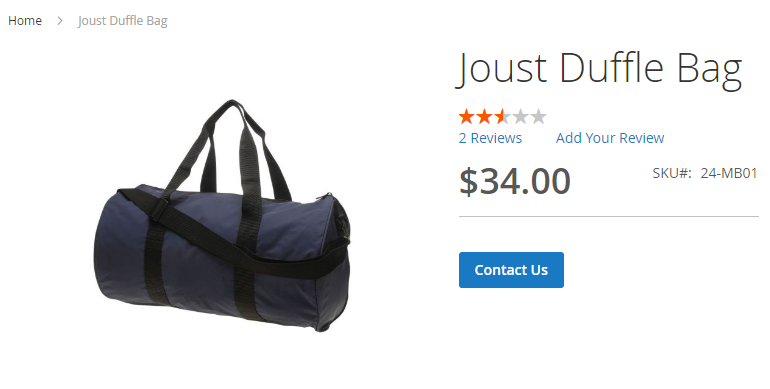 Product View: Add to Cart is disabled and is replaced with a customizable button, price is shown. All configurable per category/product and via global settings. Frontend: Checkout functionality can be disabled entirely, checkout links are removed. Configuration: Specify if "Add to Cart" and/or "Price" should be hidden/replaced for certain customer groups, or certain categories. All details configurable on category/product level as well. Configuration: Specify what should be hidden/replaced for matched categories/products. Configuration: Frontend settings, if "Hide Add to Cart" is enabled, you can either hide it entirely or replace it here with a button/text, image and link, as well as specify custom CSS for the button. 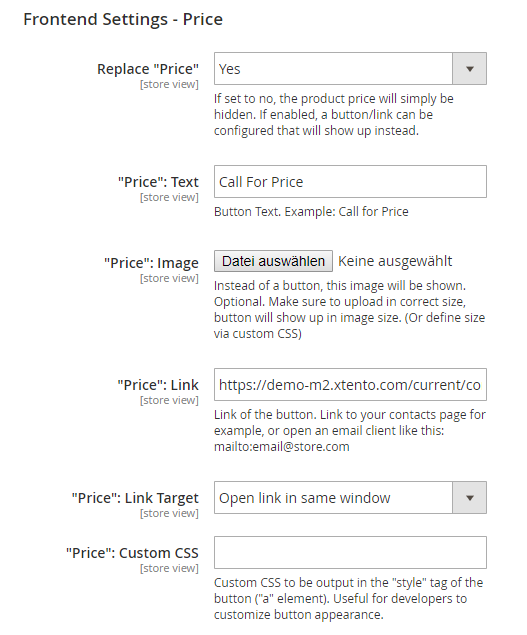 Configuration: Frontend settings, if "Hide price" is enabled, you can either hide it entirely or replace it here with a button/text, image and link, as well as specify custom CSS for the button. Category settings, specify on a per-category level if you want to show/hide prices/add to cart. Product settings, specify on a per-product level if you want to show/hide prices/add to cart. Configuration: Developer Settings - you won't need them usually, but have the full flexibility to adjust which blocks/parts of the theme are replaced, in case you use a custom theme. By combining three features - hide price, call for price and not to order - in one product, this extension will allow you take full control over price display and add to cart functionality in your Magento 2 store. Don't want your customers to buy a specific product (or all of your products) just yet? 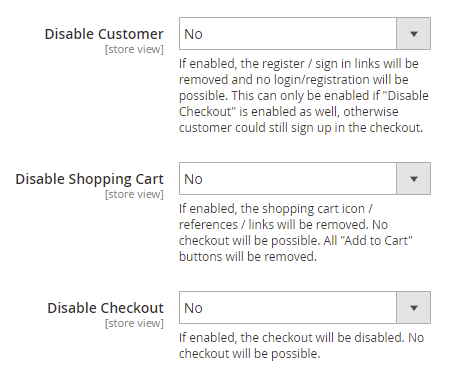 Simply disable "Add to Cart" on a per-product, per-category or per-customer group level. Increase customer engagement and have your customers call you to inquire about the price of a product. Or, hide prices for not logged in customers and force them to create an account. Don't want guests to place orders? Or to register at all? Simply disable customer registration, shopping cart and/or checkout in your store. 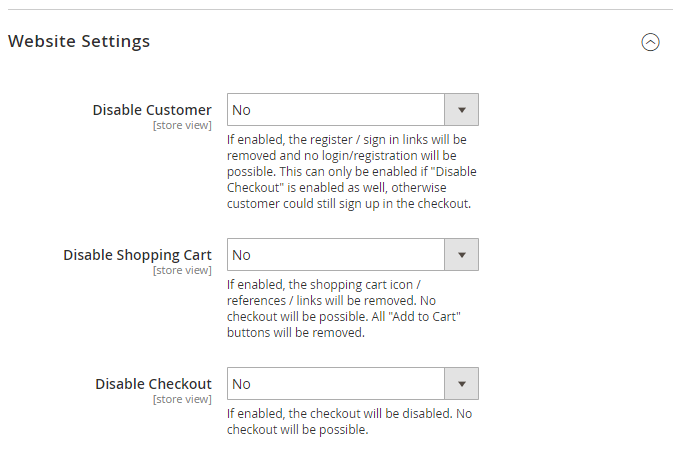 Allow checkouts only for certain customer groups. 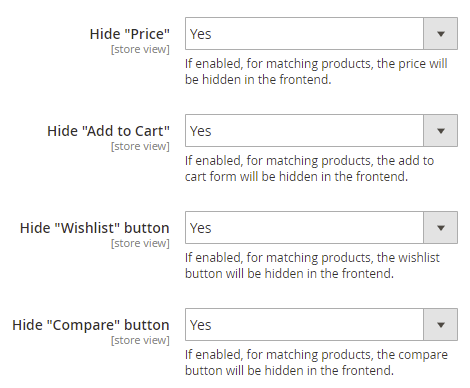 Hide product prices on category and product pages and just everywhere else in the frontend. 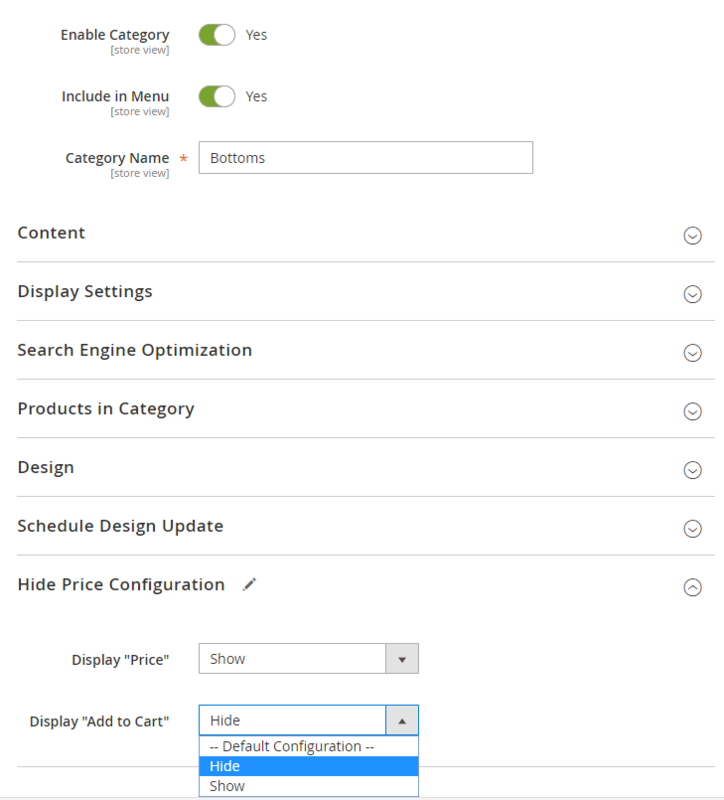 Fine-grained settings allow you to configure price display/add to cart settings on a per-store, per-product, per-category and per-customer group level. 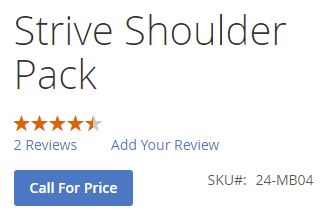 Want to show a button instead of the price and/or add to cart? 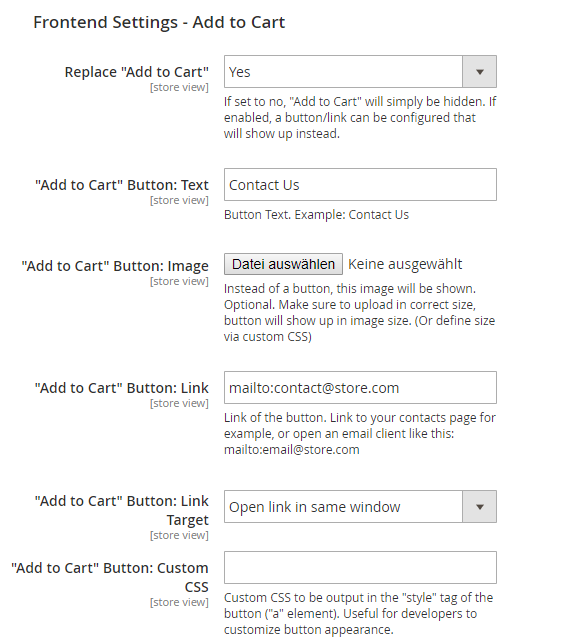 Buttons are fully customizable: Text, Link, Image, Custom CSS to change styling. Easily set up a link to your contact form or a special CMS page. 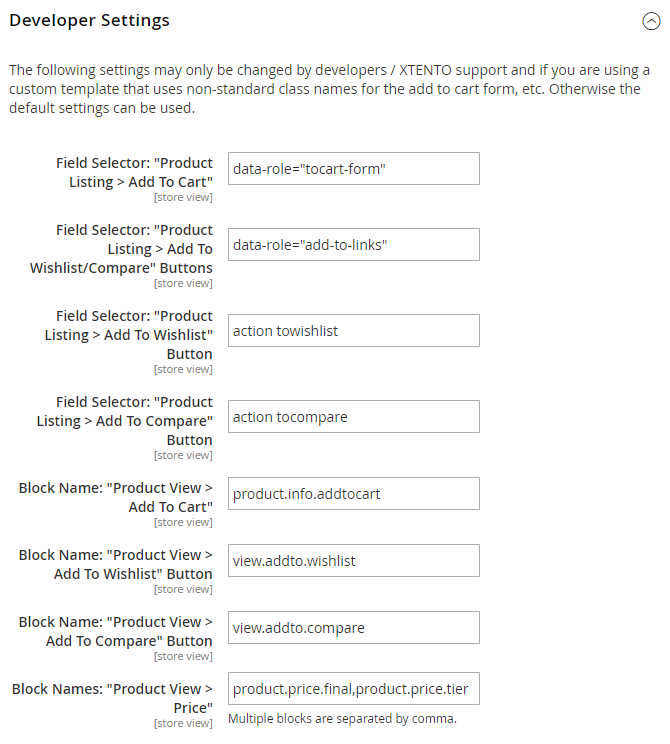 All settings can be made from within the Magento backend. You can either disable add to cart/hide prices for all your products, or just specific categories/products/customer groups. Easily override settings for each category/product: Hide or show product prices/add to cart for certain categories/products. It's easy. The "Hide Price" attributes on category/product level are normal Magento attributes. You can import/export them using the Magento built-in import/exporter. 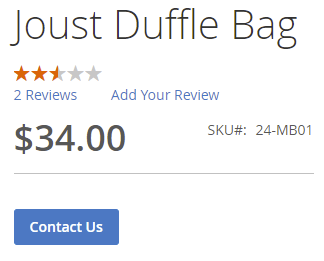 Product View: Add to Cart is disabled and is replaced with a customizable button, price is shown. 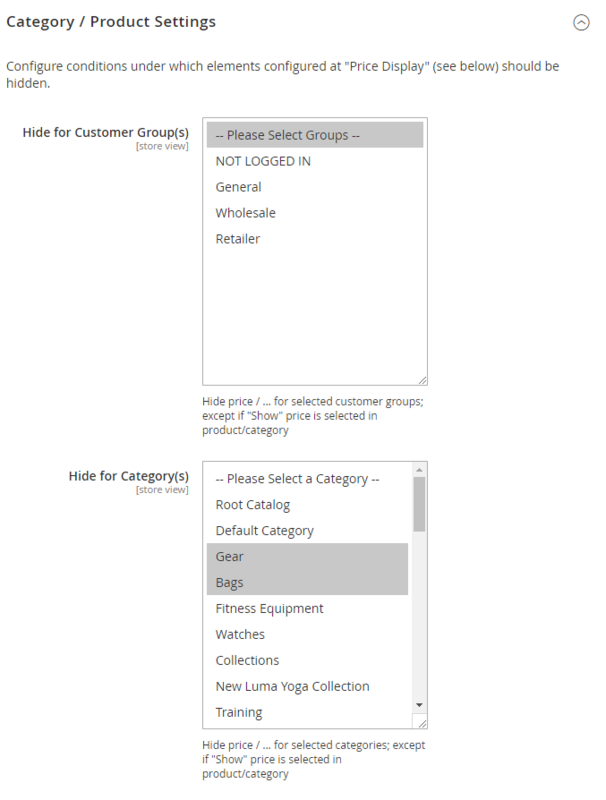 All configurable per category/product and via global settings on customer group/store view level. 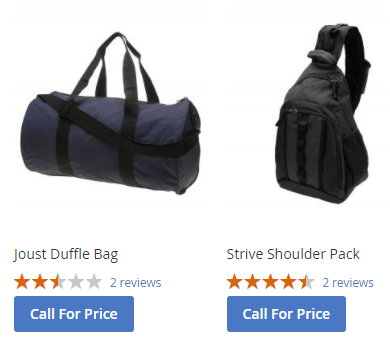 Category View: Call For Price extension and disable add to cart enabled; add to cart button is replaced with a customizable button. Note: Please note that highly customized themes sometimes require customizations, especially if the theme uses custom blocks/HTML to output prices/add to cart. These customizations are not included and will need to be done by a developer.